At a time when professional are finding it more difficult than ever to maintain a proper balance between their work and personal lives, corporate-tourism experts are promoting "floating conferences" and associated incentives, translating into new opportunities for employees to relax, re-energize and combine career development with the activities aboard a luxury cruiser. 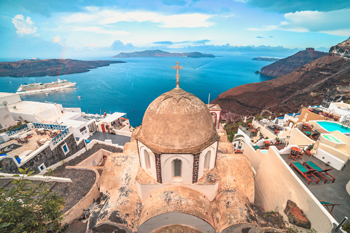 In island-rich Greece, the splendid natural attractions in the Aegean and the Ionian Seas combined with the first-class amenities aboard a cruiser or a yacht provide for a superb setting for conferences, business meetings, formal dinners and other similar events. Several cruise lines offer an exclusive range of catering and conference facilities and a highly trained staff experienced in catering for all occasions, especially for corporate events. The Greek shipping and cruising industry boasts one of the most varied and large fleets in Europe, sailing in a wide range of outfits from commercial linen to ferries connecting major ports, as well as from single-day cruises to long deluxe trips aboard fully equipped ocean liners. 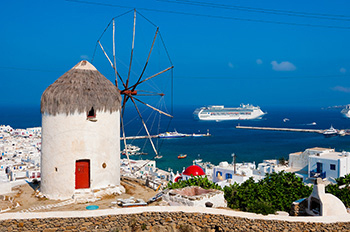 Every port in Greece is connected either by ferry or some smaller vessel to provide for easy and relatively inexpensive access. A yacht is a highly prestigious venue for a business meeting or conference, not only offering privacy but also taking passengers away from the pressures of the outside world. More and more professionals are using yachts to relax, travel and work in peace. 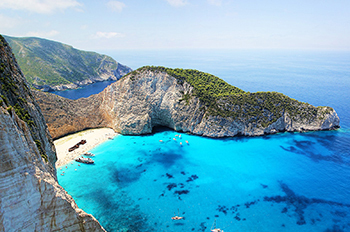 Greece has to offer the yachtsman a great deal, not only because of the natural attractions in the Aegean and the Ionian, but also due to the readily available supplies, both on the islands and along the coastline on the mainland. Yachting in the Greek seas has become so popular during the past two decades that chartering has grown from a small business into a vigorous industry boasting 2.000 yachts and itineraries to suit the most discerning customer. It has been found that a cruise motivates and it is a way of training, also bringing people closer together. A long-time favorite of meeting planners and incentive organizers. Greece has all there is to offer for a life on the sea waves. 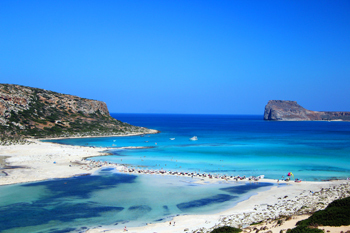 From day trips around its over 3.000 islands to long-haul trips on a large cruise liner around the Mediterranean. 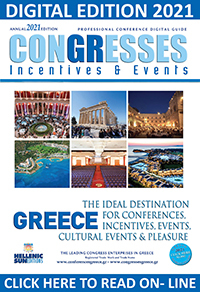 With its bright sunshine and minimal rainfall, Greece offers an unrivalled choice for the incentive and conference planner and works its magic on any individual traveler or group.